THE issue of granting amnesty to the Boko Haram sect by the Federal Government of Nigeria under the leadership of President Goodluck Jonathan has now become the channel of choice that most Nigerians are tuned in to on the bouquet designated, ‘Nigeria’. It is the matter at the fore of our collective national consciousness at the moment; everyone has something to say about the issue and most will present their opinions with such blind rage that makes it very difficult to engage in constructive exchanges with them. Nevertheless, many Nigerians believe that the Federal Government lacks the moral justification to offer amnesty to the Boko Haram sect and that instead, the government should be committing resources to the extermination of the sect and the threat they pose to the country. Despite opposition from many fronts, the Federal Government, under the auspices of the President, has gone ahead with its plan to pursue amnesty for the sect and there appears to be growing support for the President’s decision, even from the most unlikely of corners. If the secret of greatness is to admit that one’s position is not infallible and that one could very well be wrong, then it presupposes that it would be very much worth the effort to try and understand the President’s motivation, on the off chance that the position represented by the opposition to the amnesty agenda may be flawed in some way. The truth is best discovered by powerful statements on both sides of the equation, so I offer a brief examination of the position of the opposition to the amnesty agenda before presenting my thoughts as they apply to the Federal Government’s position on the granting of amnesty to the Boko Haram sect. In order to bring an end to internal conflict, a nation’s government may hold negotiations with the very people who are responsible for committing egregious acts against humanity in the country, and the basis for amnesty is generally because the war or other conditions that made the acts criminal no longer exist or have faded in importance. In world history, there are various documented cases where governments have offered amnesty to opposition in order to facilitate peace and reconciliation. From the instances in Ancient Greece to those in Haiti, South Africa, Liberia and even the United States of America, two things are particularly evident: First, in amnesty negotiations, there is usually a party in ascendancy and a party in a more disadvantaged position, and amnesty is offered by the former to the latter and not the other way round. Second, both parties agree to co-operate in order to end the fighting and halt further commission of violent acts. In the light of these, the Boko Haram situation in Nigeria is unique because they are certainly not the disadvantaged party in this conflict; in fact, they seem to be holding all the aces at the moment, which may have informed their confidence in boldly stating that they ought to be the ones who would offer the Nigerian government amnesty. Furthermore, they have evidenced no clear signs that they would be amenable to reconciliation for the sake of peace. The arguments against granting amnesty to the Boko Haram sect are very valid and are shared by not only a majority of Nigerians, but by the international community as well. 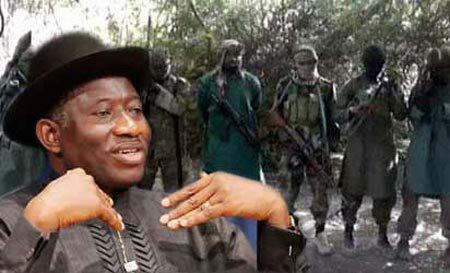 Recently, the U.S. Commission on International Religious Freedom (USCIRF) reiterated its earlier recommendation that Nigeria be labelled ‘a country of particular concern’, stating that President Goodluck Jonathan-led Nigeria deserved designation given its failure to hold accountable the perpetrators of religiously-related violence. The USCIRF Chair, Katrina Lantos Swett, further stated that the Nigerian government’s failure to prosecute the perpetrators of religious-related violence only encourages reprisals and intensifies local tensions and mistrust, and that Boko Haram uses this impunity as a recruitment tool and to justify its attacks on Christians. In essence, if the government fails to punish the Boko Haram, it will invariably encourage cynicism about the rule of law and increase the already significant distrust towards the political system. Also, to the victims of the Boko Haram violence, the amnesty represents the ultimate hypocrisy, a grave travesty of justice and a devastating betrayal by their government. National reconciliation cannot take place as long as justice is foreclosed and it is the responsibility of the government to provide justice to the victims and their families. The bloodshed and abject horror that the members of the sect have wrought on the nation require that they be held accountable for their acts, and if the peace being sought by the government is not intended to be a brief interlude between conflicts, then it must ensure that justice prevails. The conundrum, however, is that to the victims, justice would be served by the prosecution of the Boko Haram sect, but the very premise upon which the amnesty is advanced precludes all possibility of such prosecution, because it is tantamount to wiping their slate clean and declaring them free of any wrong-doing in the eyes of the law. There is another very disturbing aspect of the Boko Haram situation in Nigeria that begs audience. It is not unlikely that the sect enjoys the support of some Northern elements who see the group as a viable weapon for political harassment of the Presidency (Adewale Adeoye, Boko Haram: A people’s alternative to peace (2); March 27, 2013). Suppose the group does eventually accept the Federal Government’s offer of amnesty; what is the guarantee that the same or even another group of Northern elements may not silently back another sect that is intent on perpetuating havoc in the nation in order that they may accomplish their selfish purposes and satisfy their egocentric interests? This is another reason why opposition to the amnesty agenda is so strong. It is generally believed that without properly identifying and prosecuting those who operate in the shadows to silently provide support for the sect, the amnesty is a sham perpetuated by a weak-willed government that is afraid of excising the rot that has eaten deep into its systems. The government is no doubt knowledgeable of all these arguments against its decision to grant amnesty to the Boko Haram sect but has, nevertheless, gone ahead to commit itself to pursuing the agenda. The question remains, why? I tasked myself and was able to come up with three reasons that could logically explain the government’s decision even though the logic figuratively screams that the government’s position is one of ineptitude, cowardice and insincerity. Firstly, I believe that by announcing that it was pursuing amnesty for the Boko Haram sect, the Federal Government has tacitly admitted that it is unwilling to publicly identify and prosecute those in positions of influence and authority who may be the sect’s political benefactors. Furthermore, I posit that the Federal Government has analysed the strength and effectiveness of the nation’s security structure with respect to the threat Boko Haram pose and have concluded that the security system in the country lacks the skilled intelligence, resourcefulness, law enforcement capability and tactical, disciplined military defence to successfully counter and bring to an end the sect’s campaign of violence. Secondly, and I may be accused of being cynical for this, I cannot help but think that the possible success of the amnesty agenda would be a solid boost to President Jonathan’s bid for re-election in 2015, and given that he would have solid results to justify his decisions and validate his consequent actions before even the fiercest opposition and those most critical of his administration, the logic of it is very attractive. It would be like killing two birds with one stone because improving the insecurity situation in the country by negating the threat of the Boko Haram even if it means offering them amnesty allows him to build a firm foundation upon which he could stand and even successfully woo the electorate come 2015. However, the entire reasoning is, to a large extent, predicated on the amnesty agenda being successful and remaining so until at least immediately after the 2015 polls. Thirdly, the most salient reason I could come up with to explain why the government has chosen to pursue the amnesty agenda for the Boko Haram is that the Federal Government is genuinely distressed by the insecurity situation in the country and is willing to explore all feasible, lawful avenues that may lead to enduring peace across the polity. Unfortunately, the government and the opposition to the amnesty agenda have significantly different definitions of ‘feasible, lawful avenues’ that may be employed towards the successful resolution of the Boko Haram situation in the country. Nevertheless, any democratically elected government must take very seriously the responsibility of ensuring the welfare and security of the nation’s law-abiding citizens and legal inhabitants. It must use whatever means possible under the law to actively protect and defend the lives of the citizens against all conflicts and threats that seek to cut short said lives. In this peculiar case, the threat is the Boko Haram and as per its responsibility, the government must explore all legal avenues that could potentially lead to the cessation of this threat. But consider the reality of the situation: The government is unwilling or unable to successfully tackle the issues of complicity amongst its own ranks with respect to the Boko Haram. Next, the nation’s security and intelligence system cannot effectively combat the threat the sect poses. Logic would support the inference that if the present Administration is to remain in power and is also to bring an end to the human carnage resulting from the Boko Haram insurgency without dealing with the problem of insidious complicity within its ranks, and also without upgrading the nation’s security, threat-response and intelligence system, then some other means of conflict resolution must be resorted to. And so even though it smacks of shocking cowardice, and it is akin to taking a very bitter experimental drug that has only a small chance of curing a terminal illness, there is a perverse logic in the government’s decision to pursue the amnesty agenda. In conclusion, in spite of the Federal Government’s much maligned decision to offer amnesty to the dreaded Boko Haram sect, it ought not to so easily dismiss the arguments the opposition have raised because those arguments actually provide crucial details as to why the amnesty agenda may very possibly fail spectacularly. I believe that the Federal Government’s offer of amnesty should be strategic and also that steps must be taken to ensure that a recurrence of the situation or any variation of it in the future will be impossible. The Federal Government needs to make it abundantly clear that amnesty does not grant anyone or any group a licence to commit future crimes and it certainly does not forgive crimes not yet committed. The Federal Government will need to act urgently to ensure that we are capable of dealing with any future threats to our national security by upgrading our security system and associated intelligence protocols. Our security and defence organisations must attain a new and crucial level of adeptness, backed by a functional system of jurisprudence to assiduously investigate and successfully prosecute corrupt and complicit elements even within the government itself. This will go a long way in restoring confidence in our system of law-enforcement and it will also help in checking impunity, because potential militants and other law-breakers will have to think twice about flagrantly contravening the law of the land, perpetuating mass chaos and senseless murder in the name of whatever creed, thinking that they will get away with it if they pose enough of a significant threat because the government would be forced to offer them amnesty on their own terms. Further, I believe that Adewale Adeoye (CNN African Journalist of the year, 2000) was spot-on when he opined that the Islamic population in the North ought to be given a voice in government, and that an Islamic party controlling a part of the country should not be seen as antithetical to democracy, once the party enjoys the full support of the population. This invariably suggests that some form of dialogue will need to take place involving all stakeholders, influential Northern leaders who are genuinely seeking peace and regrettably, even representatives of the Boko Haram sect as well. If in due course, the Boko Haram sect do accept the government’s offer of amnesty and the agenda is eventually successful, it should not be construed as heroism and triumph for the nation. Rather, it should be considered a pyrrhic victory at best and it labels us as cowards of the worst kind regardless of how logical our cowardice may seem.